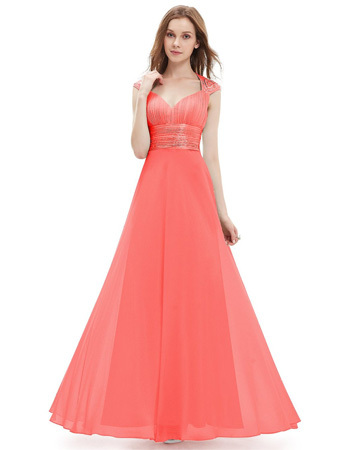 Gorgeous trailing v neck chiffon maxi dress perfect for prom, wedding and all formal occasions. This dress features a ruched bust ending in a figure flattering empire waist. The shoulders and back are enhanced with a swirling sequin pattern. making the dress sure to stun no matter where you wear it. The dress has a cummer bond or belt attach in the upper part. It does not have any spandex. It is US Size when you place order.